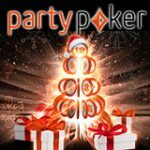 We would like to wish you all a Merry Christmas playing poker and hope you all take full advantage of this season, which sees many beginners around for easy picking. 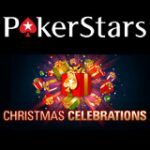 Many poker rooms are also offering a variety of Christmas Poker bonus promotions and events that always add for extra incentive. With the festive season now in full swing, many of the poker rooms are well populated throughout the day by the working class people on holiday looking to pass some time and test their luck playing poker online. 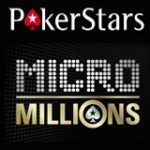 PokerStars for one had an excess of 38,000 real money players followed closely by FullTilt Poker with a little over 18,000 playing for real which provides us all with bigger better tournaments and shorter waiting times. The poker Christmas season is always a prime time to find fish in abundance mainly due to many newbie’s trying their luck after watching poker being glorified on TV thinking what’s so hard about that? 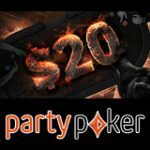 For any new and inexperienced players looking to start playing poker online don’t let the prior paragraph scare you off as the festive season is probably the best chance for you to learn the game as there will be an abundance of other new players which will give you the opportunity to learn the game and fine tune you skills with weaker than usual competition. Be sure to check out your favorite poker room for the many special Christmas poker bonus and promotions they offer. 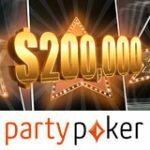 As always the usual poker bonus codes are still available to those depositing for the first time, we highly recommend FullTilt Poker who still accept US players or alternatively PartyPoker for those new to the game of poker, these two sites are firmly established and continually offer excellent promotions and bonuses to their players for those who already have accounts at these rooms take advantage of the new deposit sign up bonuses we offer for other room listed on our site all boast excellent traffic. I personally like the new PartyPoker the classic poker game has now been altered to fit with modern times with many new features but best of all is that generous reload bonuses are always sent out to entice you to return and redeposit at their site players at PartyPoker also have the option to play PartyCasino should they want a break from poker or even bingo at PartyBingo, Sports betting at PartyBets skinned version of Gamebookers. 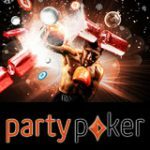 PartyPoker bonus codes have neen revamped which also helps their case as they now offer a 100% match of deposit up to $500 bonus for new joining players a vast improvement on previous Party Poker bonus code offers held in the past. FullTilt Poker is also a favourite of mine mainly due the large volume of traffic coupled with the fact they still permit players from the USA to play plus a great starting bonus of 100% matched of your deposit up to $600, simply use Fulltilt Poker referral code WAP to activate your first time player sign up deposit bonus at Full Tilt Poker, after downloading the software upon installing the game when you create a new player account just enter WAP in Full Tilt Poker referral code field. I really wish they would update their platform too though – lol, it’s been pretty much the same for years now. For some reason I also play often at PokerStars and while I do like the console I feel that because they are the number one site online they lack personalism or rather display a form of arrogance to their customers much like the old PartyPoker heydays where they occupied the first spot for some reason support suffers as do responses from their employees plus such a small sign up bonus only $50, leaves you thinking how did so many players sign up there. I really don’t know what it is perhaps it’s just the feeling to support the underdog. Well which ever Christmas Poker game you play we wish you a prosperous Christmas and Happy New Year from the WinAllPoker Team.